Brothers of Qandeel Baloch arrested for her murder. 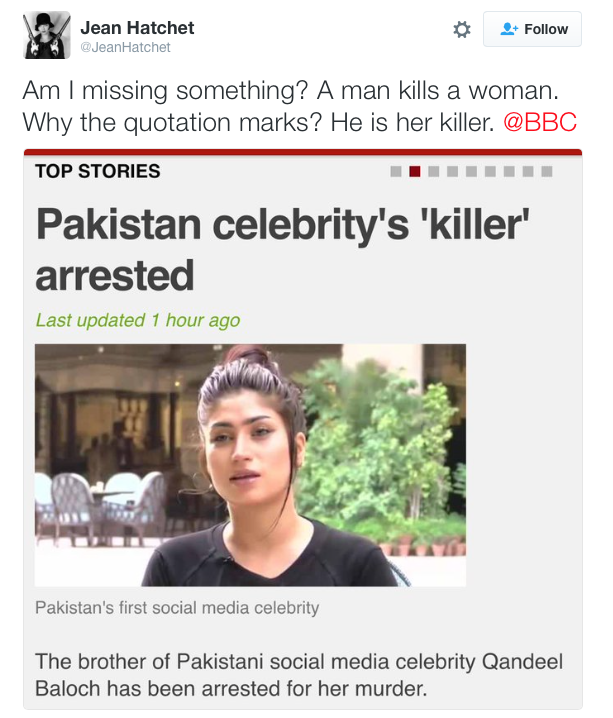 The correct use of scare quotes would be to place them around the word 'honour' not around the word killer. It is lazy journalism and headline grabbing that could be easily avoided without denigrating the victim. But, not uncommon on the BBC.